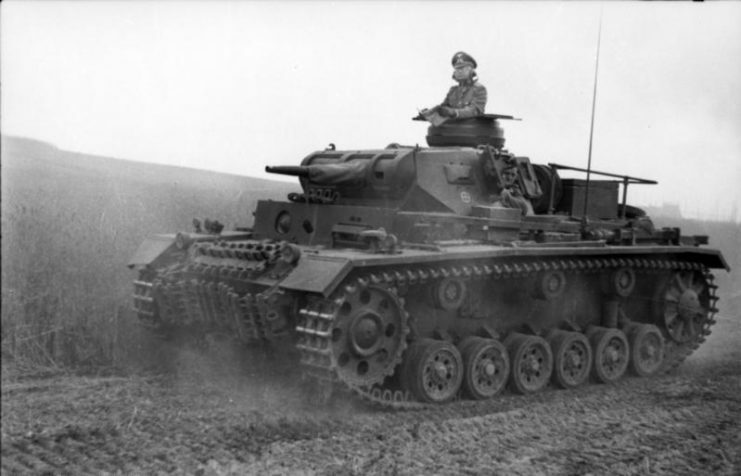 Though initially slow to adopt tanks, the Germans eventually became masters of armored warfare, with some of the most effective vehicles of the Second World War. When they faced British tanks during World War I in 1916, the Germans were at first shocked and then dubious about these new weapons. Once they recovered from their initial fear and alarm, they focused on the limitations of the early vehicles, which often became stuck in the mud and broken ground of the Western Front. 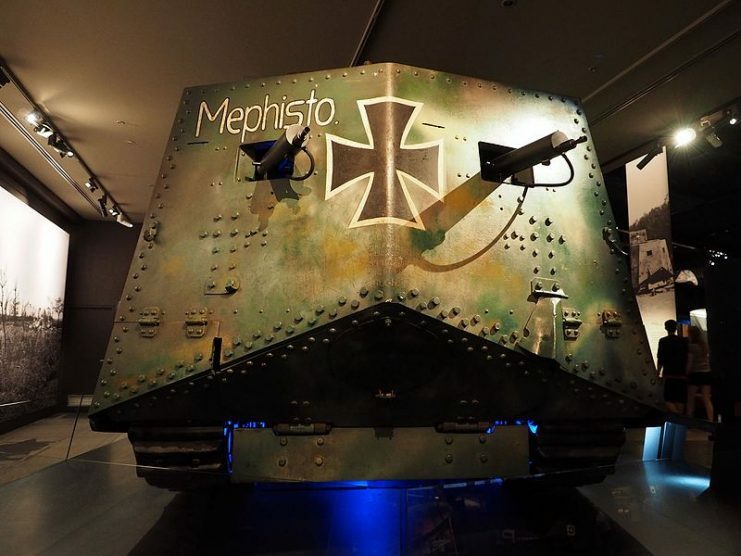 For some time, they didn’t try to imitate the British vehicles, and it was only in March 1918 that the A7V, Germany’s own combat tank, made it to the fighting front. 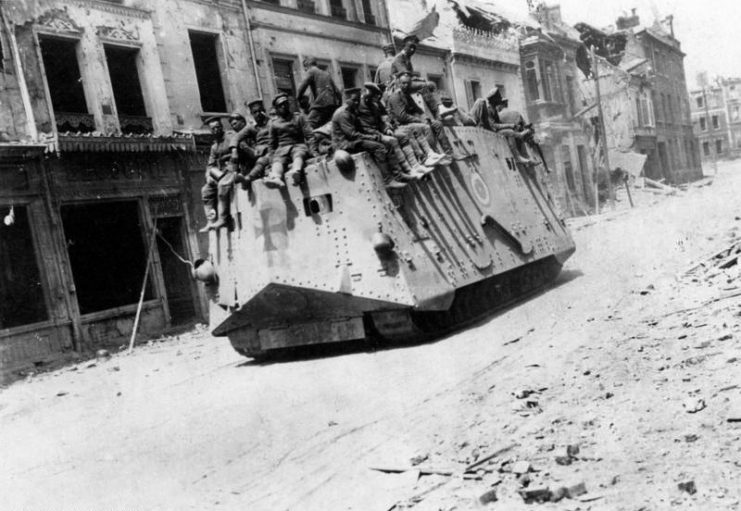 The A7V adapted the chassis of a Holt tractor, adding an armored hull around it. A 57mm gun captured from the Russians was installed in the front of each tank, with six or seven Maxim machine guns mounted at firing ports around the rest of the body. The commander had a small raised cupola, from which he had to shout to be heard by his crew. With Germany running short of industrial materials, only around 30 A7Vs were built and they made little difference in the war. When Germany began openly rearming in 1933, one of its first priorities was to quickly equip the army with tanks. 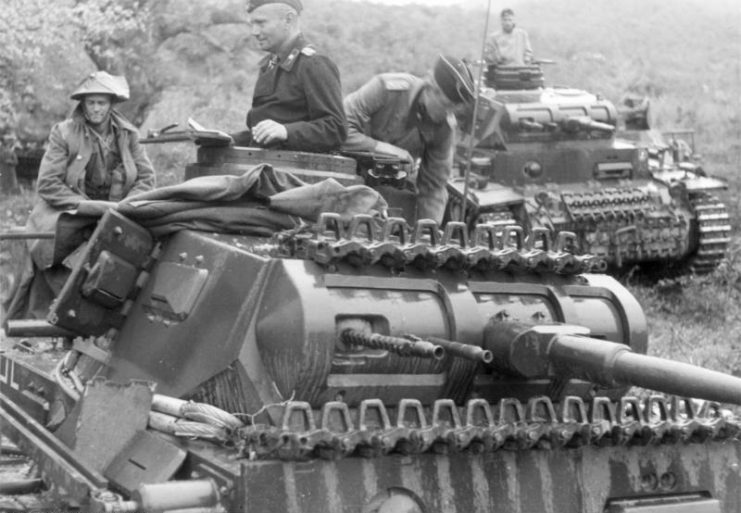 Military thinkers such as Heinz Guderian had convincingly argued for fast, hard-hitting armored formations as the future of war, and Hitler wanted to make this a reality for Germany. 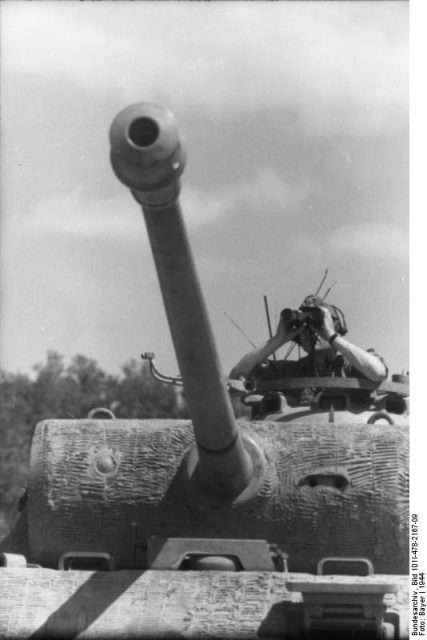 The PanzerKampfwagen I (PzKpfw I) was the first product of this policy. Hastily put into production, it entered service in 1934. It was a light tank with only two crew and two machine guns for armament. Like many German weapons and soldiers of the 1930s, the PzKpfw I saw its first service in support of Franco’s regime in the Spanish Civil War. There, tank crews discovered to their own misfortunes that the PzKpfw I was too lightly armored to stand up against any sort of anti-tank gun. 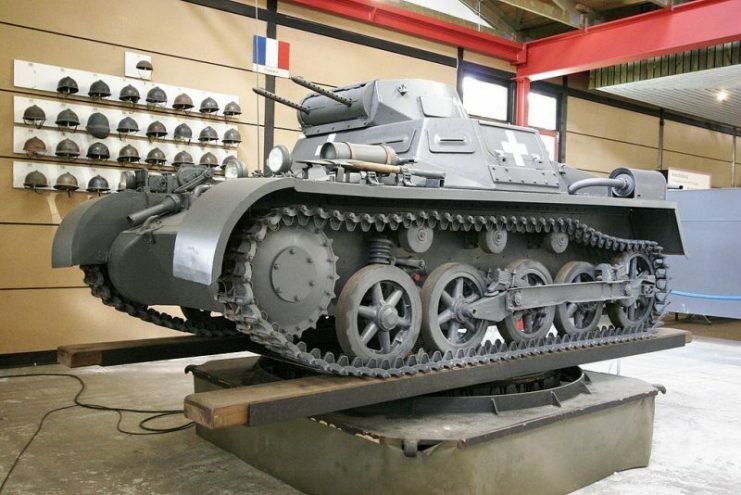 Despite its inadequacies, the PzKpfw I saw widespread use in the invasions of Poland in 1939 and France in 1940, where it made up for a shortage of heavier tanks. A few took part in the invasion of Russia in 1941 but were quickly taken off the front line. A couple hundred saw further service as command vehicles. Based on the performance of the PzKpfw I and its successor the PzKpfw II, the Wehrmacht commissioned two tanks to form the basis of its new armored formations. These were the anti-tank PzKpfw III and the PzKpfw IV support tank. The PzKpfw III was a medium tank. Original models were equipped with a 37mm gun, but this proved inadequate for penetrating contemporary tank armor and was later replaced by a short-barreled 50mm gun. Two machine guns were also fitted, one in the hull and the other mounted coaxially with the main gun. 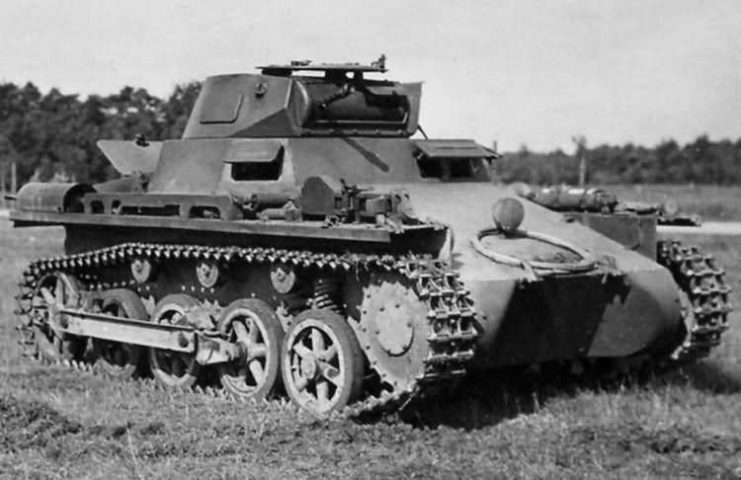 An excellent gearbox, good suspension, and wide tracks contributed to the PzKpfw III’s fine cross-country performance. 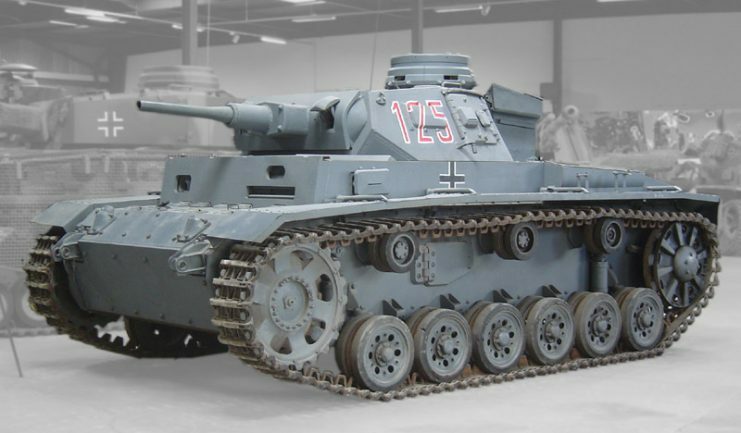 The PzKpfw III was produced just in time for 100 of them to take part in the invasion of Poland, and 350 were fielded in the invasion of France. Thousands more were made over the next two years. But as with the PzKpfw I, its armor proved too thin to stand up against most enemy guns. The first years of the war had proved that heavy tanks were needed. Germany responded with one of the finest weapons of the war. The appearance of the Russian T-34 forced the government to finally listen to a request the army had been making since 1937: to commission a heavy tank. Two vehicles were quickly designed and the simpler one went into production in 1942. This was the Tiger, produced by Henschel. The Tiger was a huge step up from the PzKpfw models. 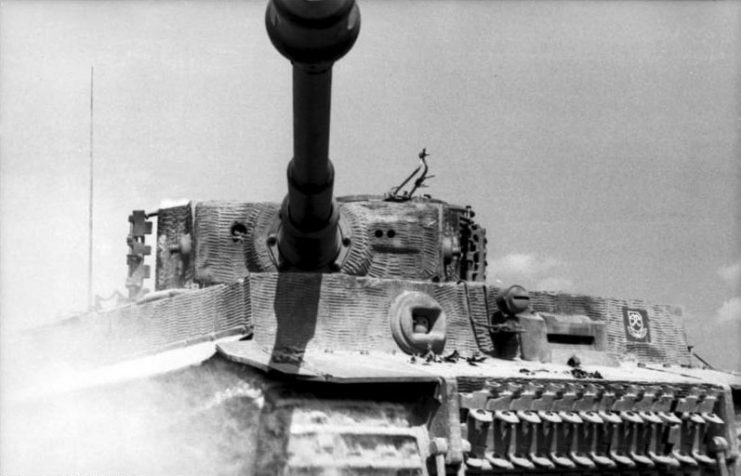 Its front armor was impervious to Allied guns at all but the closest range. 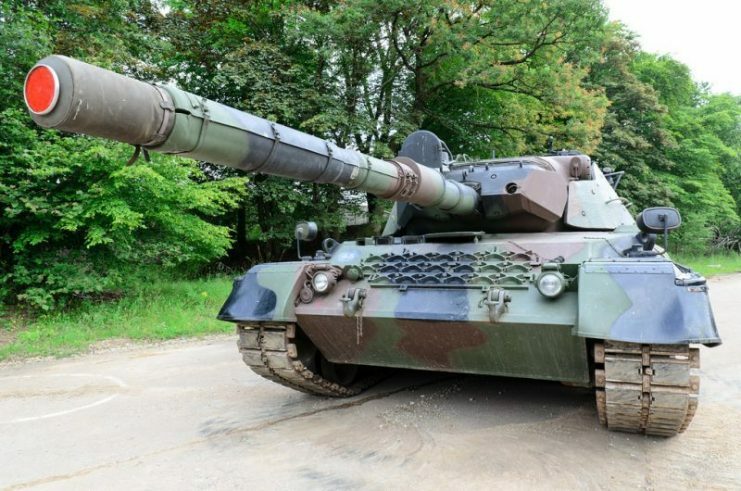 Its 88mm main gun could penetrate 100mm of armor at distances of up to a kilometer. It was the most impressive tank in the world and kept its fearsome reputation until the war’s end. The Tiger did have some limitations. Its maneuverability wasn’t always efficient, so skilled opponents could sometimes get around it. If the engine wasn’t running, the turret had to be traversed by hand. But these impediments were nothing compared with its power and toughness. Also commissioned in response to the T-34, the Panther was a medium tank created by the Maschinenfabrik Augsburg-Nürnberg and put into production in November 1942. At 45 tons, the Panther was heavier than most medium tanks. This was partly because of its armor, which was up to 120mm thick at the front and provided superior protection against Allied guns. The size of its weapon contributed to its weight as well as to its excellent performance on the battlefield. Its 75mm gun was twice as long as that carried by the PzKpfw IV, giving it greater power and range. Tough, powerful and maneuverable, the Panther was one of the best tanks of the war. 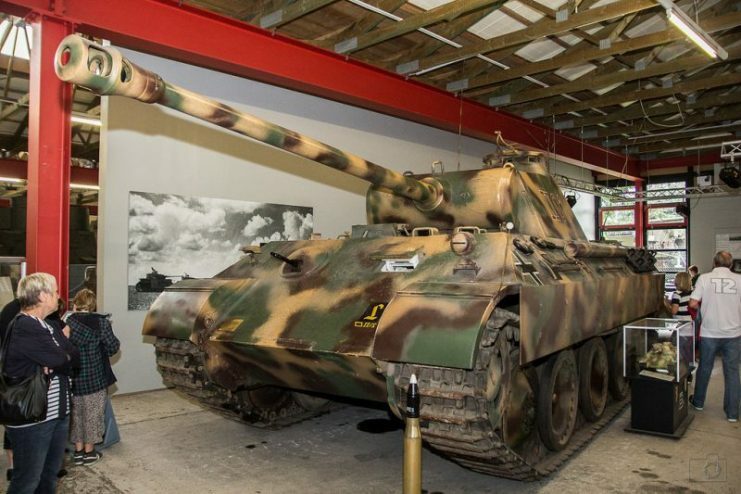 Initial technical problems saw the first production run returned to the factory for modifications, but from then on the Panther performed satisfactorily. 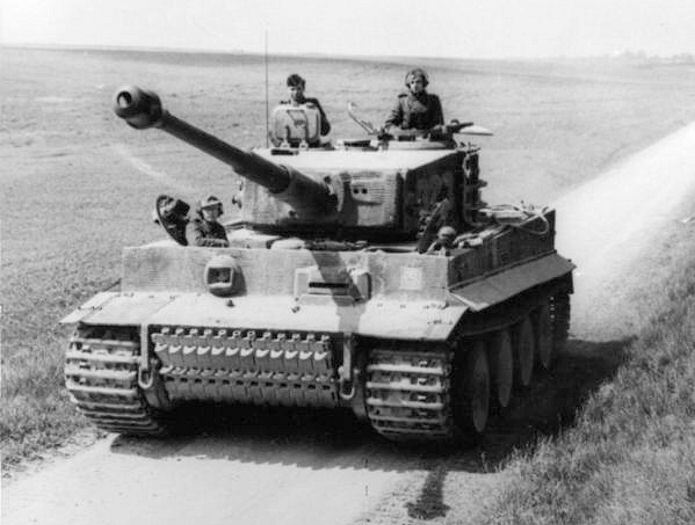 Together with the Tiger, it gave the Germans a significant edge in tank-on-tank combat. During the 1950s, the reformed West German Army was initially equipped with American M47 and M48 tanks. The government, wanting a tank of their own, started working with the French on a tank-building collaboration. 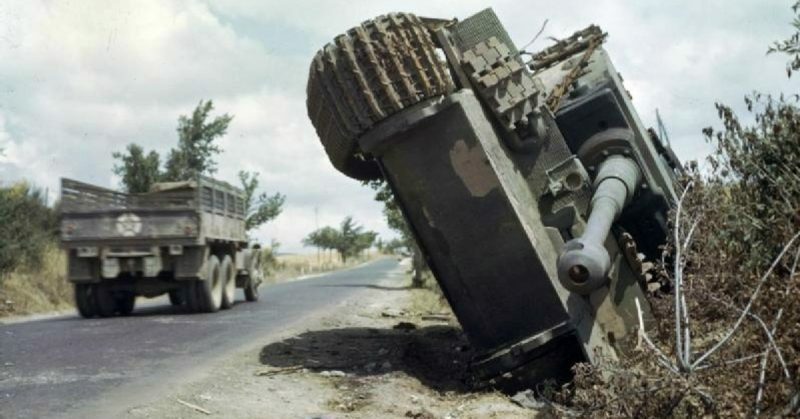 When this fell through, they spent several years commissioning and testing prototypes before selecting the Leopard I, which entered service in 1965. A solid main battle tank equipped with a British 105mm L7 gun, the Leopard was West Germany’s most successful tank of the Cold War. Thousands were built, with later versions adding features such as night sights and improved tracks. The design was exported to several other countries.